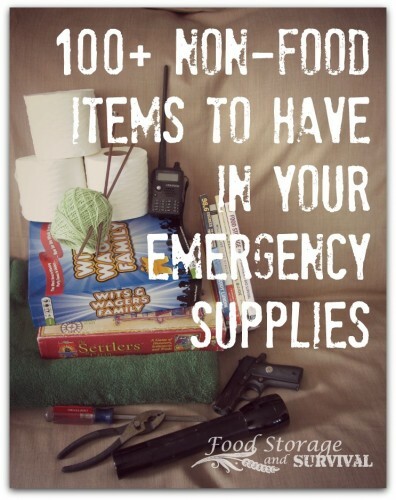 If you’re curious about what you should have available for emergency supplies and not sure how to go about organizing it, check this link for a basic list of non-food items to put into your emergency kit. A list like this can go a long way to orienting you on what types of things you’ll need for emergency supplies when you need them. It’s easy to forget vital items and this list can help you to make sure you have what you need. We would suggest a folding saw to make it easy to travel or carry with a saw to use for firewood and other cutting needs.